The Sawtooth is one of our more popular designs. It was originally created using the Franklin as a starting point and modified from there. It’s now a slightly larger and more complex version of the Franklin, but still shares many of the same characteristics. 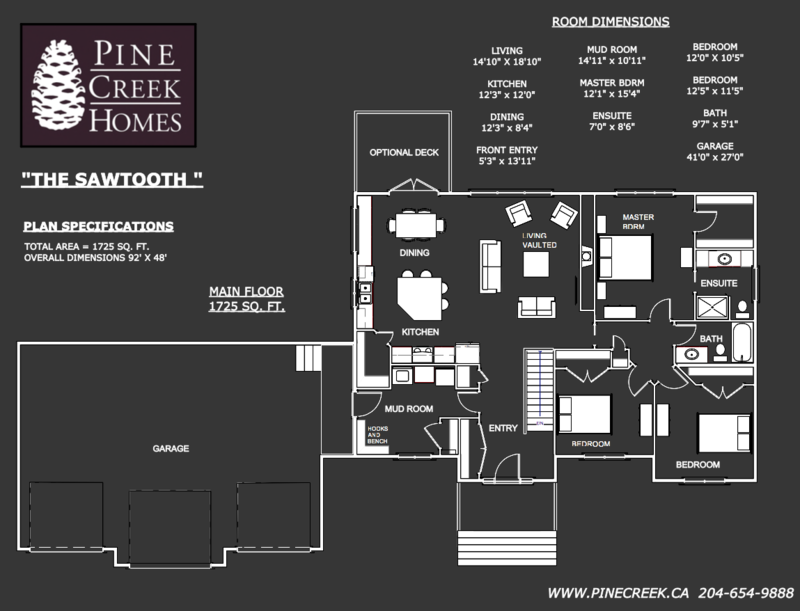 The Sawtooth has also been used many times by new clients as inspiration and a starting off point for their custom plan. 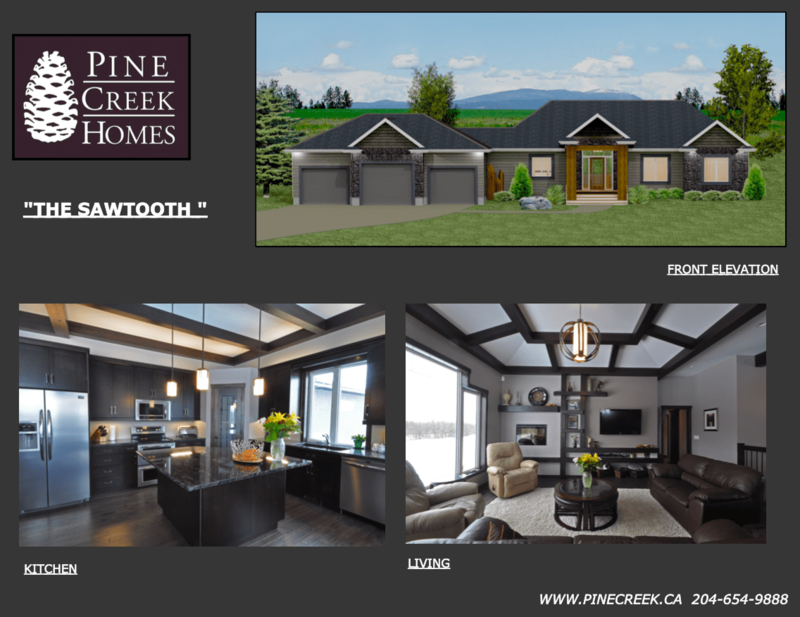 When we design a plan at Pine Creek, we always try to suit it to the lot—this design was originally intended for a wide country property with the intent of making it proportionate in size. 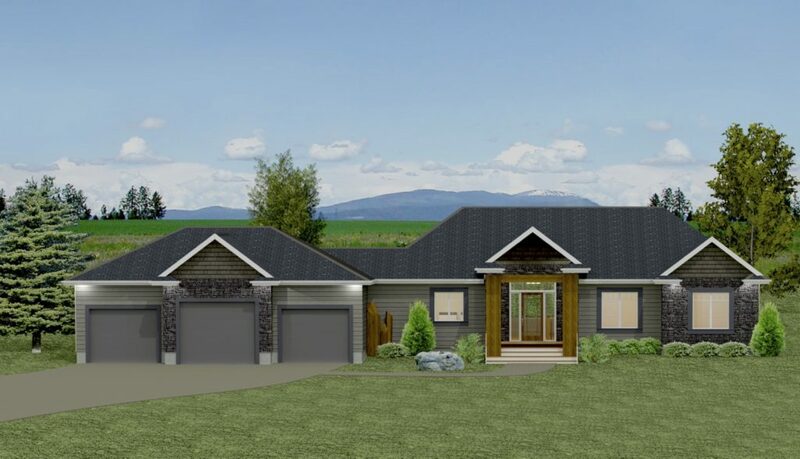 The main focus, when designing this home, was practical livability. The first thing you will notice when you walk in the garage or front door, is lots of closet space by the entry ways. There is also an option to have the laundry in the basement, providing another extra-large closet space in the mudroom. There is plenty of bench space and room for coat hooks for jackets and backpacks, keeping everything organized and up off the floor. Moving into the great room, you will notice the open feel of this space, making it well suited for gatherings and family life alike. There is a ton of natural light in the great room due to the large window sizes. In fact, all the windows in this design were made oversized to allow plenty of natural light throughout the home. The kitchen is also designed for practical living —there is a large island that allows for plenty of prep space, while still having room for people to sit at the island and socialize, while you’re cooking and entertaining. An additional dropped section of countertop, alongside the dining room table, adds space for putting out drinks and snacks when entertaining. The living room portion of the great room has a spacious feel, with a feature wall for the fireplace and TV. This wall can be customized to your needs and style. Moving on to the bedrooms, the first thing you will notice is a pocket door that separates the great room from the bedroom area. This allows the noise to be kept to a minimum in the bedrooms if you have children that go to bed earlier than the adults, or to let a hard-working Mom sleep in on the weekend. The master bedroom has a large walk-in closet, an ensuite bath and a built-in nine foot tray ceiling, making it feel extra roomy.